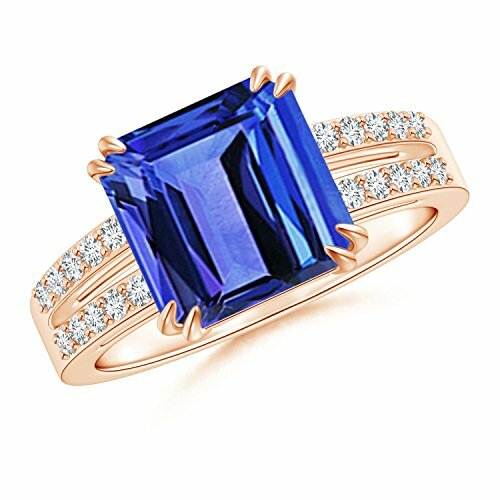 Elegantly designed in 14k rose gold, this solitaire ring with diamond shoulders showcases an emerald-cut bluish-violet tanzanite in a double claw prong setting. The diamonds are prong set on the lustrous split shank. Tanzanites are Heat treated for enhanced brilliance and lustre.